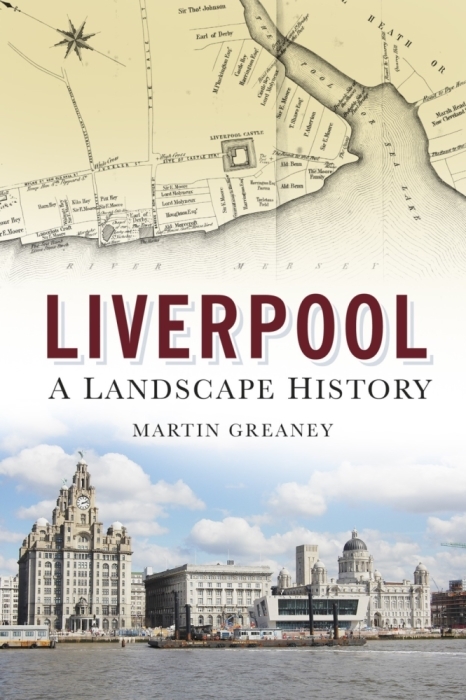 The two books here, both published by the History Press, have been written by authors with previous well-known Liverpool books under their belts. 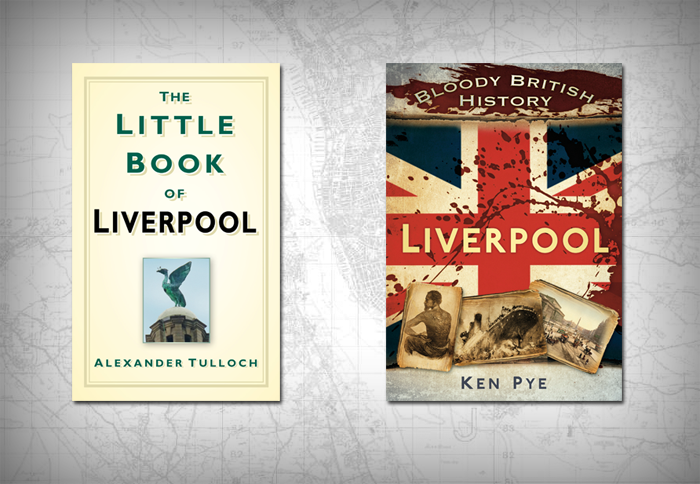 Alexander Tulloch wrote the general history The Story of Liverpool, while Ken Pye is best known for his coffee-table book Discover Liverpool. Both the books I’m discussing now are small books, clearly aimed at the Christmas stocking-filler market. But which one should you pick for your list to Santa? 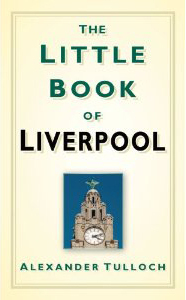 Despite Tulloch’s previous book being a general history of the city, the Little Book of Liverpool (LBoL) is a miscellany of Liverpool facts, with less of a history focus. In form (and back cover text) it reminds me of Schott’s Miscellany, a popular book from a few Christmases back, as well as the raft of copycat factbooks which came later. However, there is an understandable concentration on history, both because of Tulloch’s expertise in this area, and arguably because a great deal of Liverpool’s interest lies in its history, as readers of this blog will no doubt agree! The opening chapter, “Just for Starters… Some Trivia”, is a collection of facts from all aspects of the city, and it was in the opening pages that I was impressed with some of the historical analysis. For example, Tulloch notes that the location of the remains of West Derby Castle in meadow lane is far from certain, even though it is known that a castle was certainly in the vicinity from the 13th century. The list of Liverpool University graduates is one of the less history-centric and yet interesting collections of facts, and the type of thing I expected this book to be full of. However, I found that the remainder of the book consisted of longer passages which take LBoL out of the realm of miscellany and into history book territory. Whether this suits the book is probably up to the reader, but as Tulloch has already written a full book of this type this feels like a wasted opportunity to create a book more suitable for dipping into at a spare moment. Unfortunately the historical credentials are marred in the second chapter, “How it All Began”, a chronological account of Liverpool. One passage suggests that the Salthouse Dock was filled in and later covered with Liverpool ONE, rather than the Old Dock which is actually the case. Whilst this can almost be seen as a simple substitution of one dock with another, in Liverpool’s case this is a founding moment of the town’s dominant story. It’s a bit like suggesting that Romulus and Remus founded Paris – little more than a typo which completely alters the historical context! His selection of the ‘Great and the Good’ could be praised for its choice of the lesser known authors, actors, poets and politicians, but in a ‘Little Book’ I would have liked to have seen the author sticking to the very best, not to do Jimmy Tarbuck, Daniel Craig (yes, the Chester-born lad) or Felicia Hemans a dis-service. The Little Book of Liverpool is a smart, hard-back volume, and at present there’s no other book like it out there. But it falls between the two stools of dip-in factbook and essay collection, and so doesn’t quite fit either description. It needs a good editing and perhaps a tighter choice of topics to cover, otherwise it feels a bit like Tulloch struggled to fill the word count. I would have liked to see the whole book in the format of the Trivia section at the beginning, and many of the topics covered could certainly be adapted for this. The style of writing, as I’ve said, is odd in places, but it’s certainly easy to read. It’s a book I can imagine getting picked up and passed around turkey-filled family members on Christmas Day, but whether it you’d go back to it later on is debatable. Stocking filler it certainly is. 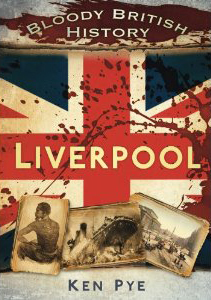 Here is the LOATHSOME, LURID and DOWNRIGHT LAMENTABLE history of Liverpool! Bloody History is chronological, starting with prehistoric Merseyside and the Druids, and goes through Vikings, Normans, Civil War, Slavery and World Wars to describe the more macabre episodes in the city’s history. It does this without holding back on the blood and guts, my favourite line describing the Vikings using their shields: “pounding them into faces and breaking skulls”. What follows are bloody descriptions of the Battle of Bosworth Field, chilling tales of the gallows (and hanging, drawing and quartering in case you were curious) and spooky goings-on in Everton with Spring-Heeled Jack. While some of the early chapters have little connection to Liverpool (the Druids chapter – don’t get me started on Druids! – and the Vikings can only muster up the Calderstones and local placenames respectively to justify their inclusion), later ones are much better. Pirate and smuggler yarns draw their very leading characters from Mersey shores, while details of the Second World War can’t fail to mention the central role (and target) which Liverpool played in the conflict. The primary sources, which often prove themselves too lurid for most histories, are well-chosen and add another gruesome ingredient to the mix (one overwrought witness begins: “my hands tremble while I write…”). If some of the stories have less direct connections to the city of Liverpool, you at least get a good grounding in wider British history, such as Bosworth or the Armada, but it’s the later chapters which contain most for the Liverpool historian. The last two chapters in particular – about the trenches and the Blitz respectively – are much less gory and more respectful of the recent memory of these events. For this they are stronger, without detracting from the overall feel of the book. The only two stand-out mistakes I spotted were the lack of gangland coverage promised on the back cover, and the mis-spelling of the exploding ship SS Malakand as Markland. The latter may be due to an over-keen spell-check on this unusual name, but a read-over by someone with knowledge of the city’s history should have picked it up. If you only buy one of these two books, you’re better off with Ken Pye’s Bloody History. It promises blood, guts and gore, and delivers all three, and is entertainingly written. Tulloch’s Little Book of Liverpool, for all it’s high quality presentation, had a couple of historical errors, and somehow the over-long articles and clumsy style just didn’t grab me in the way Pye’s volume did. That said, I can’t imagine any Liverpool history enthusiast complaining much about getting either in their stocking, as both provide some entertainment to while away those long holiday hours when you should be making polite conversation with the family. Both these volumes were kindly supplied by the History Press for the purposes of this review. If you’d like to let me know of any other books, websites or other material of interest to readers of this site, get in touch via the Historic Liverpool contact page. 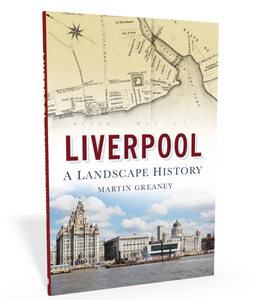 If you’d like to buy either volume, and support Liverpool Landscapes, click on the covers to left and right. Any purchases via Amazon.co.uk will contribute to the running of this site (so don’t forget us when you’re doing the Christmas shopping! ).